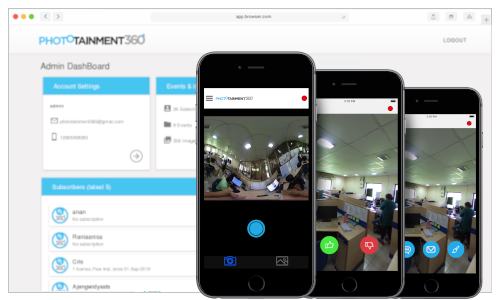 Phototainment360 is a unique IOT application, normally going to be used in US as a Photo Booth. It captures 360° immersive photos using a special camera. Once captured, the photos can be directly shared or downloaded via E-mail or SMS. The shared link renders the images in full 360° on recipients mobile or Laptop. Photography agencies can use this solution on their events on a subscription basis. We built the entire iOS, Android apps, website and application Control Panel. From the Control Panel, the Administrator having total control over the entire app Eco-system. The mobile apps were built using native code- Swift and Java. We used Angular and NodeJS for the Web app. The entire application deployed in Amazon Web Services. Nettworkk works as a middle layer facilitator between service provider and service seeker. It is a place where you can find service providers as per your requirement. Also people will find you based on the service you are offering. You can configure it as per different Geo-location based customization. Up to a certain km of radius zone to any city, state, country or global specific. Even you can filter out the search result based on matching percentage. Real time location and user data sync is the USP of this app. Connected users can chat and share location through the app. The Android app was built using Java. iOS is getting ready with Swift. Google Firebase has been used as the back-end here. The Web Control Panel built using Angular and NodeJS. Control Panel gives the Admin a total overview of the user-base and their activities. Also it provides power to control and communicate with the signed up users. 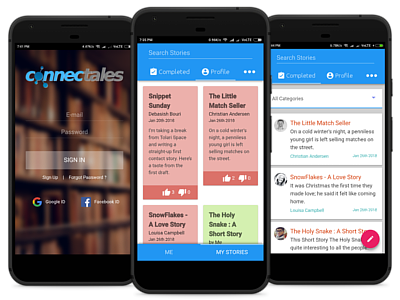 With the ConnecTales app you can showcase your ability of story writing. Not only writing, use your creativity in contributing to other's stories. Also let others to contribute in your story too. It's a worldwise platform for vibrant writers. Made in hybrid techonology with PhoneGap. We have used Google Firebase as the Back-end. Built in record time using Authentication, Storage, Real Time DB and Cloud Functions. To fixing some of the well known issues with PhoneGap and FireBase, we came up with few brilliant home grown solutions. This Android app for Pregnancy and Maternity is a day by day pregnancy guide for those women who are expecting. This app made it easy to get all the pregnancy info in one place. This privately distributed app provide details on baby’s development and what is happening to mom during her pregnancy. The app provides lots of helpful information, guidance, tips and excercises for women who are expecting. It is also saving crucial sensitive health related data in a safe and secure way. 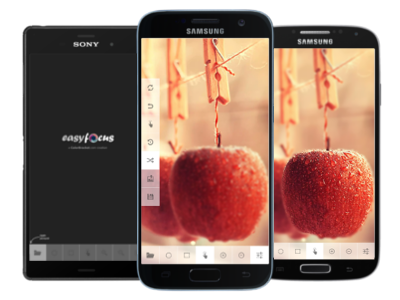 This native android app uses features like- Web feed from external source, restore and backup, user customizable UI and multi language support. 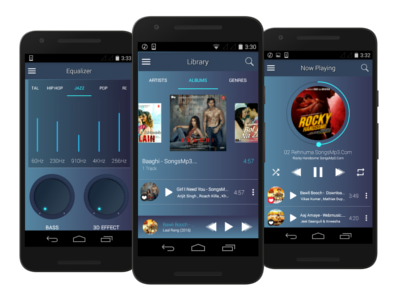 This Android audio player Beatz Music serving better media playing functionality and attractive user interface. The player is equipped with all the standard features of an MP3 Player, as well as some unique ones. User friendliness of the player, easy to navigation screens, awesome UI, customized sound effect and easy accessibility are USP of the player. One of the most small sized music player with full fledged feature list. The player equiped with custom lock screen and a standard widget. Apart from this its also using external data for artist related information and weather information during playback. 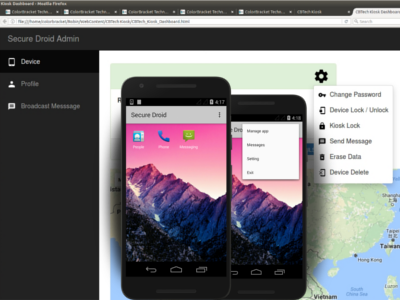 Secure Droid will turn any Android mobile/tablet devices into Kiosk mode. One can also turn a device into Single App mode with this app. The Web or Admin interface is another vital part of the solution. Through the web interface an administrator can control more than one registered remote devices. Direct communication with a specific registered device, Install or uninstall app, device data erase, device lock, call log and message log retrieve are some of the unique feature of this application. This app has been developed with the proper use of google Firebase. 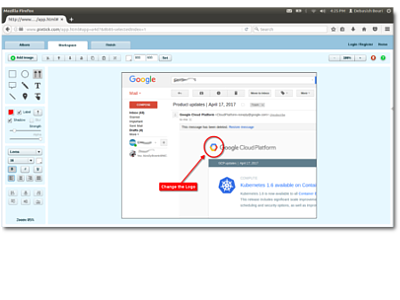 The backend also deployed in Google Cloud. We have integrated most of the features of Firebase like-Cloud Messaging, Aunthentication, Realtime Database, Cloud Storage and Hosting. A True Health Platform and your health companion. MeMe Individual brings Doctors and Pharmacies under one umbrella. 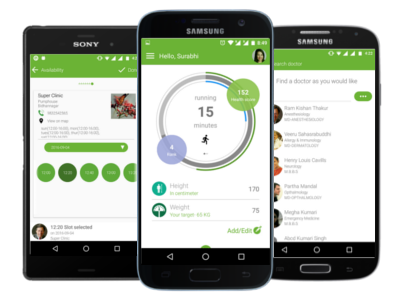 From tracking daily fitness and activity to communication with Doctors and Pharmacies- take total control of your and your family's health. This native android app uses Android's most advanced features, like- Material design, FCM, Maps, Location, Google Fit API, XMPP communication etc. The back-end platform also created by ColorBracket team. 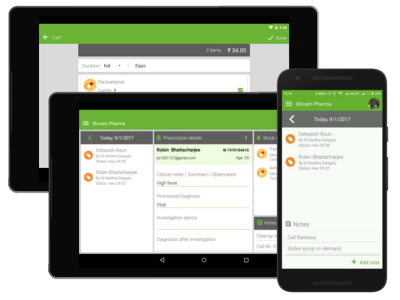 MeMe care Doctor is a essential tool for doctors who wants schedule, clinic, and practice management in a single app. The app will work as a mediator between an individual and doctors. E-prescription preparation and management is another crucial requirement for that app. 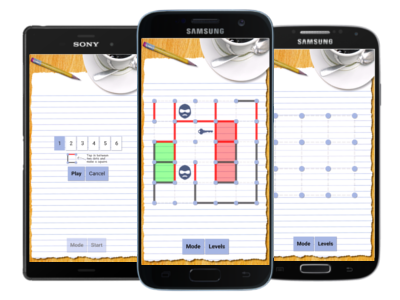 The app is designed to work in both tablet and mobile devices seamlessly. 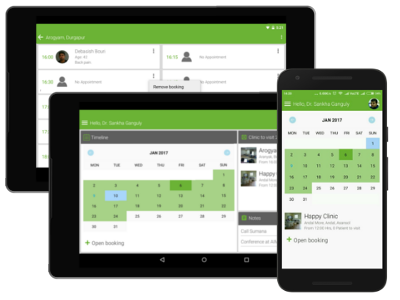 The tablet or big screen UI host a dashboard with real time appointment updates and clinic information. This app has been developed with latest industry standard features like-Google Cloud Platform, Microservice, MySQL, Firebase etc. An android-based pharmacy app which can integrate doctor and patient with itself. The app manage all inventory works of pharmacies like medicine stock check, update and alert generation. Recieving and issuing medicine, billing, prescription management, stock data update, crucial report generation, order placing are some of the features of this app. The tablet or big screen UI host a dashboard with real time incoming prescription updates and medicine purchase request. In the admin part, we have created a feature to upload bulk CSV data for pharmacies. We have used technologies like- Google Cloud Platform, Microservice, MySQL, Firebase etc. with this application for the back-end. Get the best mobile development solution with Firebase mobile platform. Google Firebase helps you develop high-quality apps, grow your user base, and earn more money. 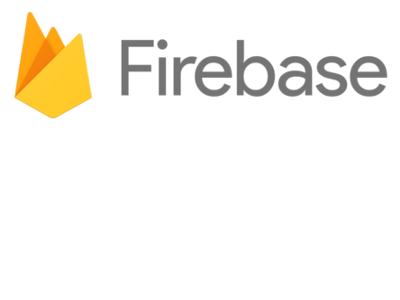 Firebase platform consist of Authentication, Cloud Messaging, Realtime Database, Cloud Storage, Hosting and Analytics. Firebase is the fastest way of developing and deploying mobile apps. At ColorBracket, we have produced apps which are running successfully in this low cost and secure platform. We are ready to deliver the next Skyscanner, Shazam or Fabulous. Contact us for more detail. For a Secure, Global, High Performance, and Cost Effective application development, rely on us. 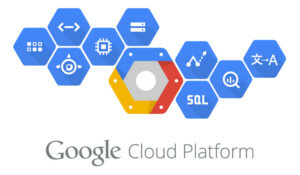 Our GCP experts can create wonder to your Web or Mobile back-end. From wireframing to prototyping and implementation to testing on GCP- all can be done with us. As a solution seeker, you doesn't need to knock multiple doors for development. We will take care all the stuffs for you- wireframing, front-end design(UI+UX), prototyping, server/back-end development, database, deployment, testing and optimization. Pixtick gives you the power to capture screenshot, annotating or editing images and publishing them from within your browser. You don't need to download or install anything. Just launch it and you are ready. Built using Flash, Java, PHP and MySQL. A perfect blend of RIA technologies. Featured in many top tier blogs and e-magazine like- killerstartups.com, lifehacker.ru, neoteo.com, ziipa.com, wwwhatsnew.com, bloggingtips.com, webdesignshock.com, web2me.ru, listio.com etc. Produce SLR camera like focus and unfocus effect with your photos. Just open your pictures in easyFocus, play with the tools, create stunning focusing effects and save the creation. Its easy and simple. Focus, defocus... the easiest way. Downloaded more than 600000 times so far from Google Play store. Play the Dot and Square game in a ultra new way with a difference! The school day's classic 'Connect the dots and make a square' game remastered and revived. Just tap between two dots, connect the dots with a line and make a square. Play against your mobile or android device. Win the game by making maximum numbers of square or occupying maximum area. Adobe Air for mobile is the technology behind it. If you are working in an ActionScript 3 project and you needs a robust set of lightweight UI components, then ColorBracket Component (CBComponent) is the best option. Built entirely in AS3 and can be used in both AS3 and Flex projects . 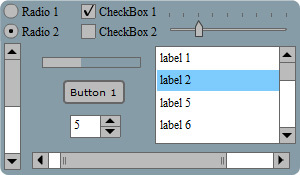 There are 9 components right now in the bucket- Button, Radio button, Checkbox, Scroll bar (horizontal and vertical), Progress bar, Numeric stepper, Slider, List and Zoom-Scroller. The components are fully customizable and can load bitmap for their skin and icon. This Event Manager lets you control and navigate all the events associated with your project from a centralised point. Built using ActionScript 3 and works on both AS3 and Flex projects. 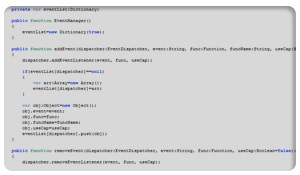 Easily find-out which event is associated with which object, remove all the method from a particular object by a single call. Highly helpfull in memory management and gurbage collection of your application. 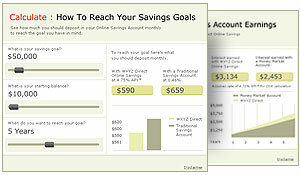 These type of calculators and charts are highly usefull in banking, finance, statistical data analysis, reporting etc. Highly customizable and can accept data from static source or from dynamic source (from web services, xml feeds). Users gain more detail understanding when they interact with these interactive tools. Get the real-life like e-book reading experience. The content of these e-books can be feeded by statically within the swf or by XML. The 'Magnifier' feature gives you the ability to read the text much more larger.